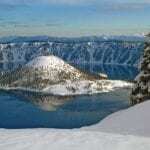 Exploring Oregon highlights the diversity of our ecosystems within just a few hours’ drive. From snow-capped peaks to rolling surf, and from it’s winding shady rivers and mountainous sand dunes, you can go from one to the other in no time at all. 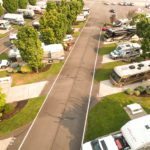 The Willamette Valley region has all of this and more, offering RVers and campers alike a full span of epic views and tasty treats. 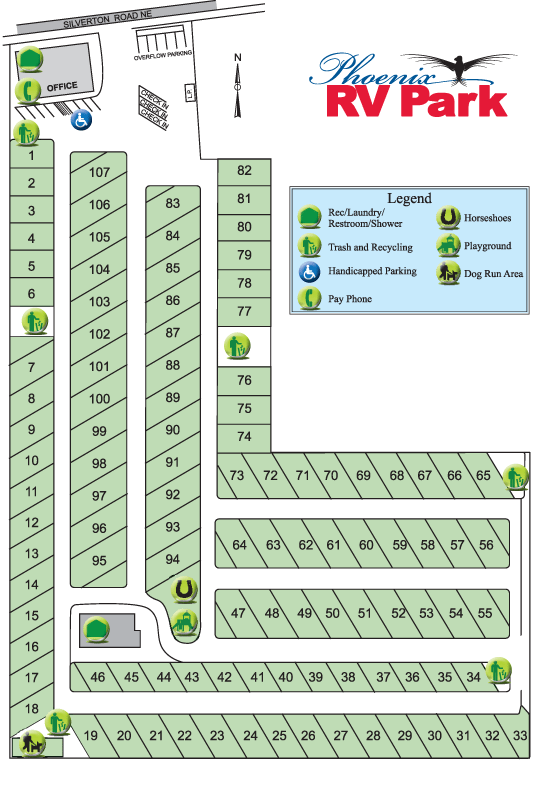 Read on for your Willamette Valley RV park best choices on how best to explore the Willamette Valley. The term Willamette Valley actually encompasses a 150-mile valley with the Willamette River running through it. The river, which begins its life in the mountains south of Eugene, Oregon, flows north toward Portland where it meets and streams into the mighty Columbia on its way to the Pacific Ocean. The valley is ringed by mountains: Cascades on the east; the Oregon Coast Range on the west; and the Calapooya Mountains on the south. With over 500 wineries, the Willamette Valley is home to a teeming variety of grapes, vintners, and tasting rooms. Though renowned worldwide for its Pinot Noir, there are more cool climate varietals to taste like Pinot blanc, Riesling, and Gewürztraminer. One of the best ways to explore the valley is by trying one the great wine trails available. If you are bike friendly, check out the Pedaling for Pinot trail in the south of the valley, which winds along pastoral country lanes. If gardens are more your thing, try the East of Eden wine trail winding through the quaint towns of Molalla, Canby, and Silverton and the remarkable gardens that dot the landscape on the eastern side of the Willamette Valley. Eugene boasts the beginning of Nike shoes, and is still known to many as Track Town USA. Eugene also offers its quirky Saturday Market, where the valley’s fresh produce is on proud display, along with handmade crafts and entertainers unlike you have ever seen. 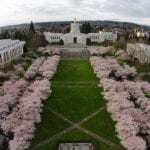 Eugene is also where you’ll find the Jordan Schnitzer Museum of Art and its 13,000-piece rotating permanent collection. It boasts an amazing array of artworks, including many Asian highlights. The museum even offers free admission on the first Friday of each month, and a pay-what-you-will time from 5 to 8 p.m. on Wednesdays. 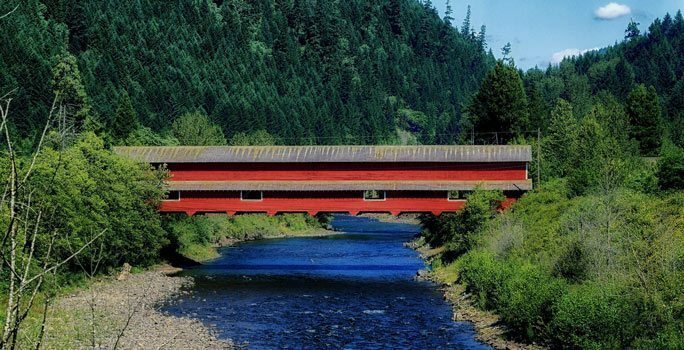 If scenic drives are more to your liking, the little hamlet of Cottage Grove can be your starting point for the 30-mile, seven-bridge Cottage Grove Covered Bridge Tour. For the more adventurous sorts, the Willamette valley offers many ways to get our heart pumping. From a hot air balloon ride with a catered brunch above the forests and rivers, to hiking Silver Fall State Park’s 25 miles of trails weaving through and behind ten spectacular waterfalls, to ocean breezes, you can surely find something for everyone. The mountainous wind-shaped dunes that dot the coast near Dunes City and Florence invite you to explore by dune buggy or all terrain vehicles. This part of the Oregon coast is also where you will find the world’s first sandboarding park in Florence. These are just a few of the varied and amazing sights and places to check out when you visit Oregon’s Willamette Valley!